Congress president Rahul Gandhi on 15 January criticised Prime Minister Narendra Modi while praising the Chinese government for their development and employment agendas. "Jo kaam China ki sarkaar do din mein karti hai use karne mein Narendra Modi Ji ki sarkaar ko ek saal lag jaata hai. 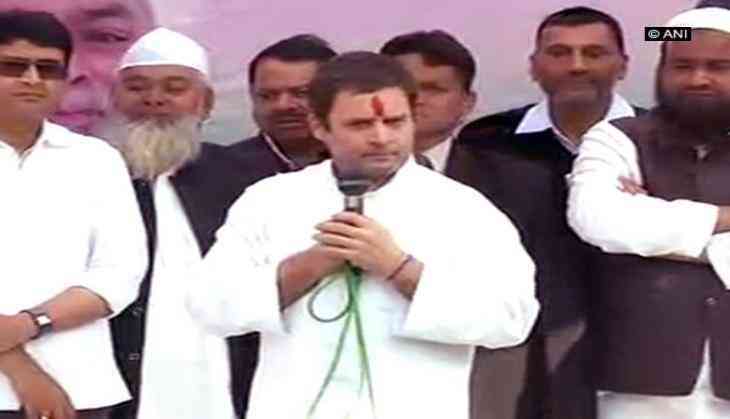 (The work that Chinese government finishes in two days, Prime Minister Modi's government takes at least one year for the same work," Rahul Gandhi said while addressing a crowd here. Talking about job opportunities, the new Congress chief claimed that while the Chinese government generated employment for 50,000 youths daily, in India, the figure stood at 450 only. "Made in China tag is put on shirts and pants everywhere, and Modiji promised us made in India. You tell us how much employment does the Indian Government provide to the youth? If you put together all the projects started by Prime Minister Modi then you will find that only 450 youths are given jobs in 24 hours, while China provides 50,000 employments per day," he added. The addressal was part of the two-day road show being conducted by Gandhi in his Lok Sabha Constituency.